Programs & Projects - PROGRESS Arts Group Inc. 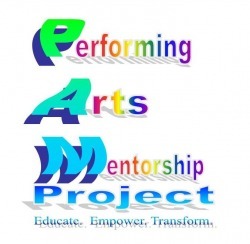 The PROGRESS Arts Group Inc. joined forces with our special guest accomplished actor and award-winning celebrity choreographer, Mr. Darrin Dewitt Henson, in 2009 to officially launch the The Performing Arts Mentorship (PAM) Project. Since then other celebrities and successful entrepreneurs from around the nation have come onboard to partner with us in support of this dynamic project. The Performing Arts Mentorship (PAM) Project is a life-changing project that promotes the arts, education, and social and economic change. The project’s model is creative and unique in combining key components such as training and education with rare celebrity and successful entrepreneur mentorship opportunities to address, create awareness, and reduce youth poverty and other related problems such as: financial illiteracy, youth obesity and other health issues, low self-esteem and other social issues, high school dropout rates, and juvenile crime and violence rates. Our national youth arts, empowerment, and wellness tour gives youth around the nation a rare and unique, age appropriate training, empowerment, and mentorship opportunity that combines financial literacy, health and wellness, life skills, career prep and coaching, empowerment, and the arts. It exposes youth to experiences that are beyond their current reach and imagination and opens up a world of infinite possibilities, hope, and dreams that will motivate them to succeed. The project will be chronicled in an upcoming documentary-style reality TV pilot entitled "Aspire". To find our more about our national youth arts, empowerment, and wellness tour, hosting the tour, sponsor opportunities,vendor opportunities, and "Aspire" TV pilot advertising opportunities, please submit inquiries via our "Contact Us" page and one of our project coordinators will contact you to discuss your options. Click here to view the PAM Project's FAQS. The SHOCK Youth Arts & Wellness Program provides arts awareness, education, and training to low income youth in Houston and surrounding areas. The program provides a platform for youth to showcase and cultivate their creative gifts and scholarships to assist them in furthering their arts education. The SHOCK Youth Arts & Wellness Program also focuses on enriching the mental, physical, emotional, and social health of our youth through nutrition, health, self-esteem, and life skills programs. This program offers a positive alternative to offset the negative ones that youth are faced with daily. To find out more about the SHOCK Youth Arts & Wellness Program or to become a program partner, please complete and submit the form on our "Contact Us" page and a program coordinator will contact you. Proceeds from the Bayou City Inspirational Film Festival (BCIFF) benefit our SHOCK Youth Arts & Wellness Program and our PAM Project. 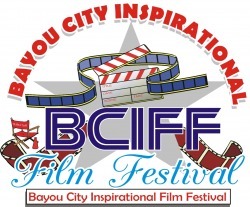 Visit http://www.bciff.com for more information about the Bayou City Inspirational Film Festival (BCIFF).